The terminated director of the Northwest Museum of Arts and Culture has declined an offer to go away quietly. Bob Dunn, who represents Rodgers, rejected that offer on Thursday and set a June 21 deadline for the MAC to rehire Rodgers or pay him $750,000, according to a letter he sent to Assistant Attorney General Maureen McGuire, who represents the MAC. If the deadline is missed, Dunn said, he will file a lawsuit against the museum, which is a state agency, and some members of the executive committee that made the original decision to terminate Rodgers. Rodgers was terminated by the executive committee of the MAC board in April in a decision that violated board rules requiring that the museum director be fired only by the governor or by a vote of the full board. The MAC board later voted 13-7 to uphold the firing, but Rodgers’ ouster has been extremely unpopular among many supporters of the MAC. The museum’s separate foundation board voted unanimously last month to call for resignation of the MAC board’s executive committee. The group has since asked the American Association of Museums to mediate the dispute between the two boards. 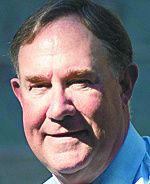 Meanwhile, MAC Board President Bruce Howard on Monday appointed a task force to examine the controversy. On it are two MAC board members who supported Rodgers’ termination – Joyce Cameron, chief development officer of Providence Health Care Foundation, and U.S. District Court Judge Frem Nielson – and one member who opposed the firing, Mary Joan Hahn, Gonzaga University’s community and public relations director. “I was looking for trustees who I believe are open-minded and who are interested in preserving what we talked about before – an amicable resolution,” said Howard, who became the MAC board president earlier this month. Howard said he hasn’t given the task force a deadline to make a recommendation to the full board. The MAC’s determination last week to make Rodgers an offer may have violated the state’s Open Public Meetings Act. The board met in private for about two hours before opening the meeting to the public. But no decisions about making Rodgers an offer were made in the public session. Government bodies are prohibited from making decisions in secret even if a decision isn’t made by an official vote, said Greg Overstreet, the former Washington special assistant attorney general for government accountability. Although a board can meet privately with an attorney to discuss pending litigation, a decision based on board consensus to make an offer or send a letter would have to be made in public, he said. “On the face of it, it would seem that a decision was made in violation of the Open Public Meetings Act,” said Overstreet, who is a private attorney based in Olympia.